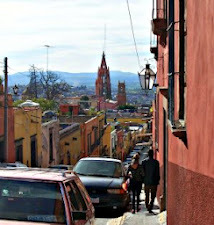 Last weekend I participated in an arts and crafts fair in San Miguel de Allende. I love this events! 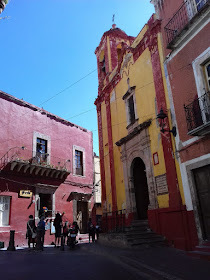 I can have direct contact with art lovers, many stop by to chat, make appointments to visit my studio or to ask questions and register for classes. It is an unique experience I recommend to any artist no matter how new or seasoned. To me it's pure fun, this is why I continue doing it for the last 9 years. 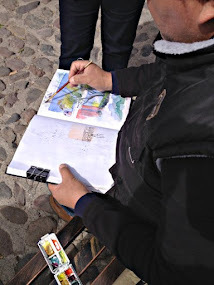 For the next 5-7 days I'll post sketches of people vendors and shopper. 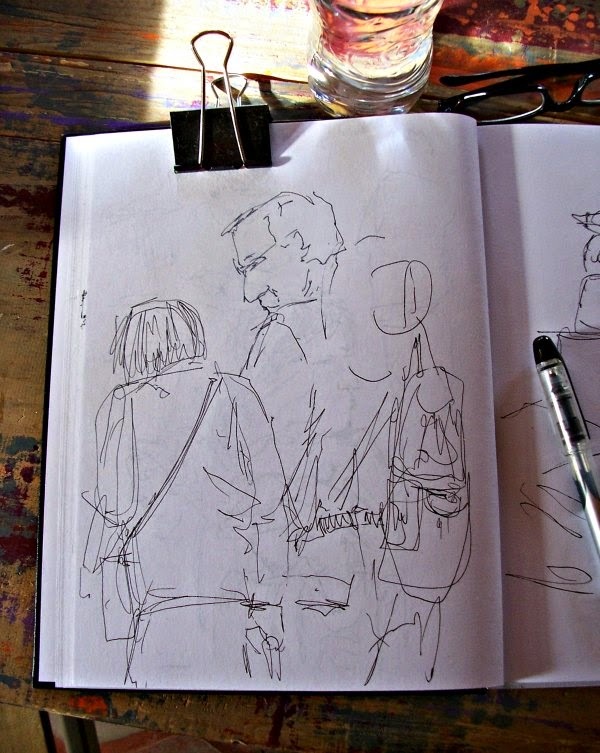 When sketching people at an event or bus stop you have 10 sec to may be 3 min. 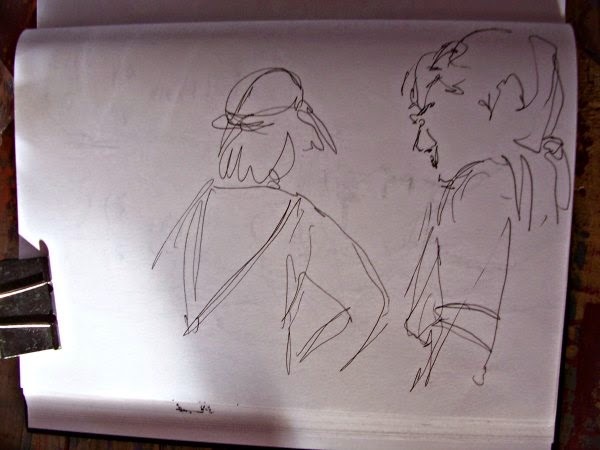 People will move as they look around so I sketch without looking at the paper, at least for the first 10-15 sec. since I don't know how long they'll stay in one spot or or one posture. Trust that your hand extended into your pen will follow the eye/ brain signals. One student told me that a friend artist told he " DONT MAKE IT PRECIOUS!" I agree, it's just for your enjoyment . so could not get more then few lines on the page. a little at the page. As the couple looked at the merchandise of the vendor across from me.